The 2009 documentary film Waveriders explored the little-known Irish roots of surfing. For Kelly Slater, one of the pro surfers featured, it was also a return to his ancestral roots. 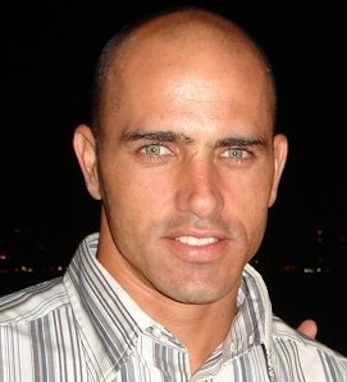 Currently raked 1st in the world, Robert Kelly Slater was born in 1972 in Cocoa Beach, FL. His mother is of Irish descent and his father was of Syrian ancestry. He went by his first name, Robert, until the 1st grade, when he started going by Kelly. He began surfing at a young age, in the relatively mellow waves near his Florida home. By age 12, Slater was winning amateur competitions, and went pro as soon as he turned 18. Recognized for his bold moves and determination to stay on the board in seemingly impossible situations, Slater quickly began setting records. He won the Association of Surfing Professionals Championship at age 20 – the youngest person ever to do so. At age 38, he became the oldest person to win the championship – a record he continues to hold. He has won the ASP ten times – the most in the history of professional surfing. Most recently, Slater won the Quiksilver Pro, Gold Coast. In 2010, he won the Rip Curl Pro. Outside of the world of surfing, Slater acted in a seven-episode stint on Baywatch and formed a band with fellow pro surfers Christiaan Bailey and Rob Machado. The group (not surprisingly called The Surfers) released one album in 1998, titled Songs from the Pipe, in reference to the world-famous Pipeline surf spot on the Island of Oahu in Hawaii. It was produced by T Bone Burnett. Slater has a daughter, Taylor, and lives still in Cocoa Beach when he isn’t riding waves around the world.